The Marcos and Estrada surnames are big political names in the Philippines. Former Senator Jinggoy Estrada and Ilocos Norte Governor already have winning personalities but they are both controversial all along. Currently, their popularity even surges because of their brothers. Gov. 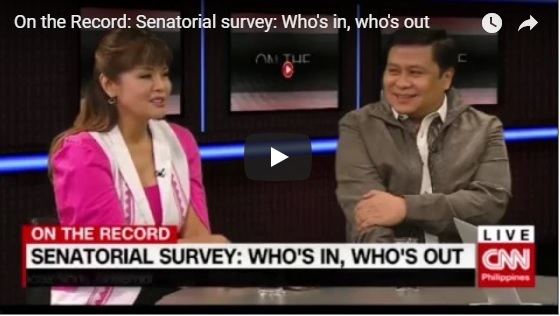 Marcos for one is the sister of the Vice Presidential Protestant Bongbong Marcos. His election protest against the presumptive VP Leni Robredo is still ongoing. Meanwhile, Estrada’s story also revolves around a brother whom he might not see eye to eye with but loves him anyway. 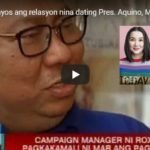 Pulse Asia said only 15 of the 58 probable senatorial bets included in the survey’s senatorial poll will have a “statistical chance of winning” come May 2019. Most of the probable winners are either incumbent or former members of the Senate. Other personalities that float for the poll but didn’t make it to the Top 12 are Communications Secretary Martin Andanar, Communications Assistant Secretary Mocha Uson, Presidential Spokesperson Harry Roque, former Environment Secretary Gina Lopez, and Bataan Rep. Geraldine Roman. Over 70 percent of 1,200 respondents said they will vote for former presidential aspirant Grace Poe. 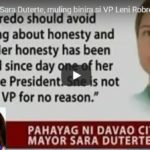 Meanwhile, 43.8 percent will vote for President Rodrigo Duterte’s daughter, Davao City Mayor Inday Sara Duterte Carpio. Most of the probable winners are either incumbent or former members of the Senate. 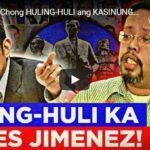 Reelectionists Poe, Villar, Binay, Angara, and JV Ejercito, Estrada’s half-brother have said they will run for the Senate as “The Force.” While Bongbong Marcos propels for his sister’s senatorial bid, Estrada’s conflict with another brother who is also running for a Senate seat can either work on his favor or otherwise.